If there is one person who can really appreciate the importance of brow products, not only for their ability to totally enhance a look but for the mere existence of them, it has to be me. Growing up with light hair meant that I had the lightest of light eyebrows! I mean, I have the hairs, but since they were so light they never showed up in photos, and just looked ridiculously undefined. Was so not a cute look! Once I realized how much a sculpted eyebrow could do for my face I started to get them tinted allllll the time. Well, that became expensive real fast! 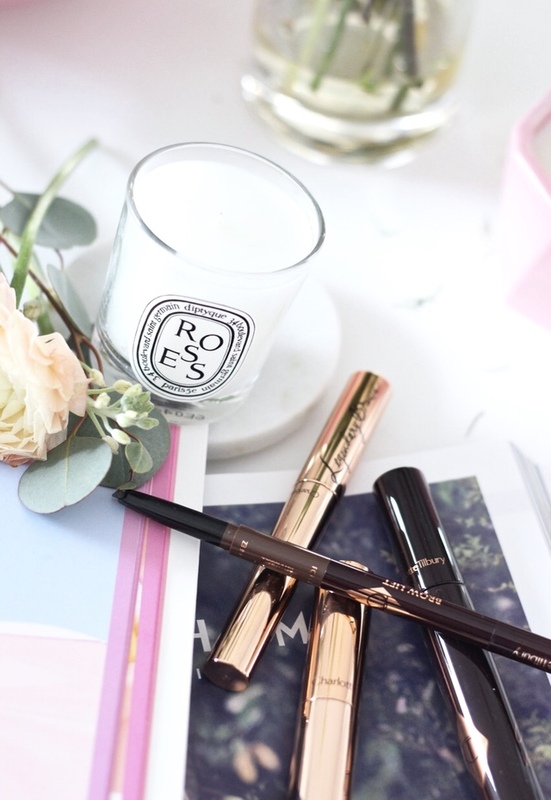 Eyebrow grooming has since become necessary for me and brow products are a now a serious staple in my makeup bag. "Darlings, no make-up look is complete without flawless eyebrows - they are the pillar of the face!" I totally agree with this statement! They can totally amplify any look. 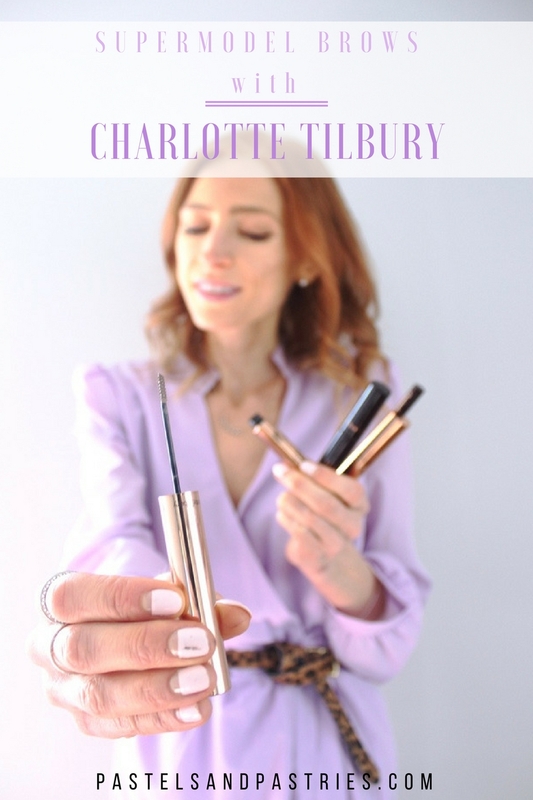 I love the natural look of brushed up brows and adding a bit of colour to the brows and Charlotte's products are absolutely fabulous for this. 1. 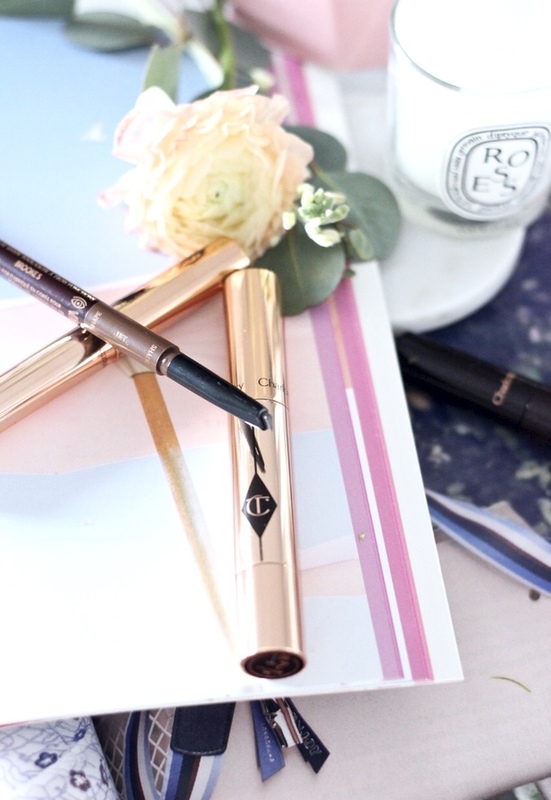 The 3-in-1 Brow Lift eyebrow pencil. You start by shaping the brows with the brush, then fill in using this triangular shaped cream eyebrow pencil to define for a fuller look. I love the shape of the pencil! It's perfect to start at the bottom of the brow and work your way outwards to really fill in the patchy parts. The applicator also opens to reveal a secret highlighter which you can apply under or over the arch. I love adding the shimmer effect and that it adds definition while filling. 2. Legendary Brows eyebrow gel. Coats, colours and locks hairs in place. Always brush up to get that natural, supermodelesque fierce look! It contains Magic Elasticizing Wax and vitamin E to really lift the hairs and keep them looking natural, which I love. I love that they have the clear gel, and also tinted gel. If you need to pick one item I'd go with this because it tints and holds in place, and is super precise. Great for an all in one product! 3. Full Fat Lashes mascara. This may not be a brow product, but having some defined lashes just elevates the look completely. This mascara is a powerhouse. It curls, separates, all while adding length, volume and serious glam. 4. The Retoucher Concealer. I am obsessed with this twist up concealer brush! It's so creamy and glides on so perfectly. I use it under the eyes to brighten and around the sides of my nose to cover redness. It covers lines, spots and under-eye bags so flawlessly! There are 10 shades to choose from and for me to brighten, I went with FAIR 2. If you are buying the whole kit, it also includes the Life Changing Lashes Eyelash Curler. I have not tried it out, but it's rose gold in colour and looks fab! So why do you need to get your #BROWFORMATION on with Charlotte? *Variety of shades to match or add colour! *Natural looking, totally flawless brows! These products were given to me for review, however, all opinions are my own. I'm hooked, guys. You can purchase the products here. 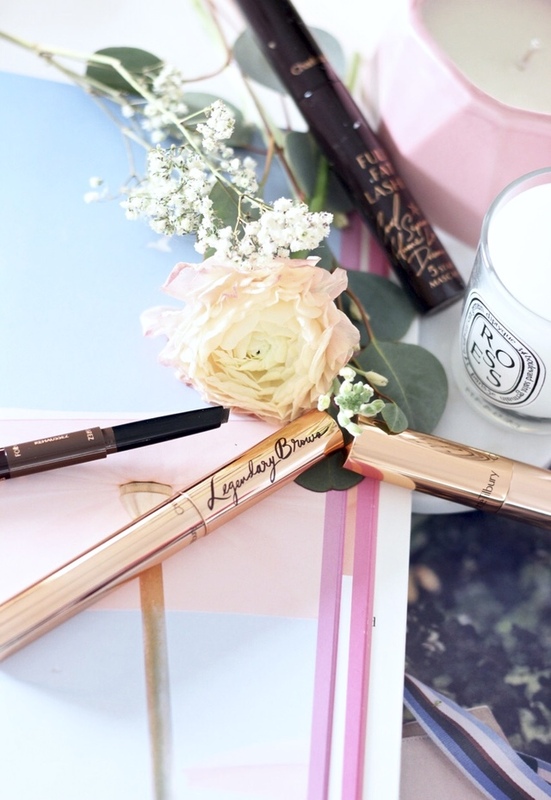 I love these brow products! They make such a huge difference! 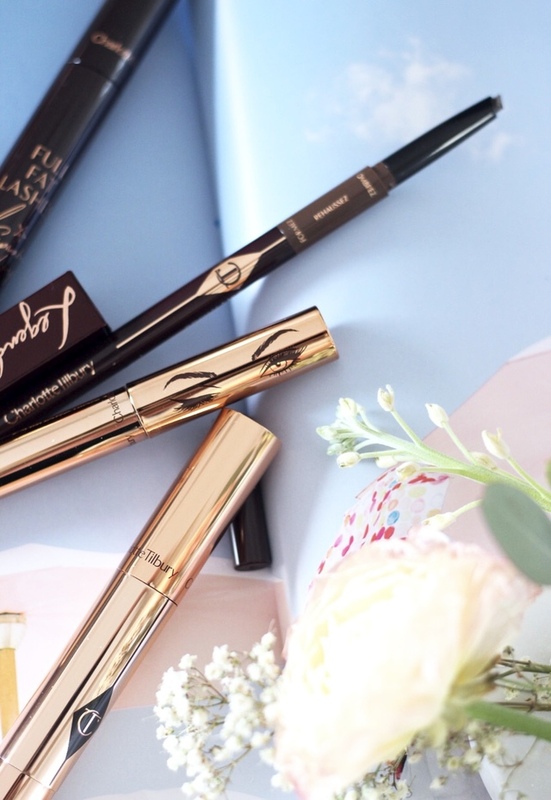 This collection from Charlotte Tilbury is so good! Also, you look so pretty in these pictures!